This month we’ll discuss the rigging of the 210L s/n 21059503 through s/n 21061573. We’ll focus on items that are different than the 210K model. These differences mostly center around the change from an engine driven hydraulic pump to a 28 volt electric motor driven pump integral to power pack. The entire power pack with pump and motor is mounted inside the cabin in the center console. One very distinct advantage is the hydraulic reservoir now uses a dipstick gauge for fluid level checking instead of the impossible sight gauge on the older systems. The dipstick is accessed through a panel on the right side of the center console. This is also the servicing port for adding hydraulic fluid. WARNING The very first text in the 210 service manual on page 5-103, where the information on this gear system begins, is a warning about gear doors. On all previous 210 models with the engine driven hydraulic pump, it would be unlikely for someone to have their head, or other body appendage, inside a wheel well with the engine running. For that reason it wasn’t considered particularly urgent to ask people to stay out of those areas when the pump was running. However, it’s very easy to forget to have the electric motor circuit breaker pulled so the gear doors don’t clamp around your head when some well-meaning friend trips on the master switch at a very inopportune moment. Not that it’s happened to me of course, I’m just sayin’. A shorter version of the same warning is repeated in the service manual numerous times if work in or around the gear doors is suggested. The emergency hand pump in the electric model is removed from the power pack and is now located in the cabin floor between the crew seats. 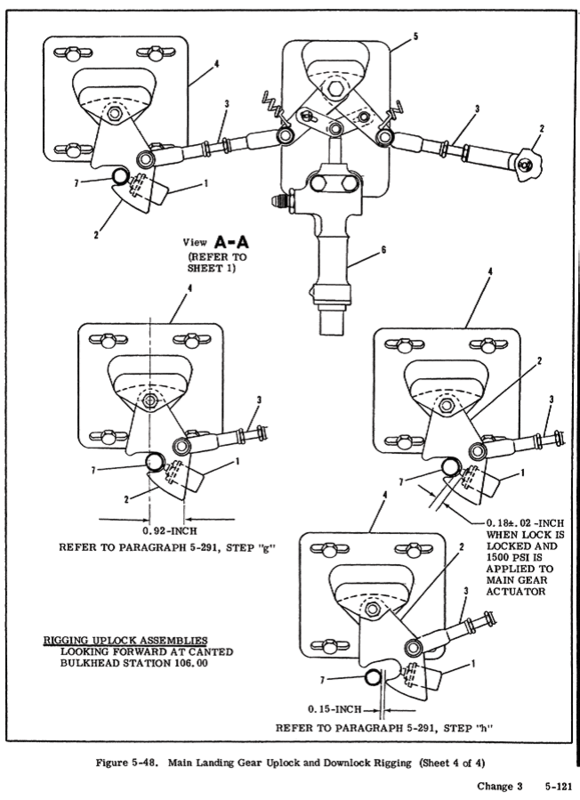 Just as in previous models, the hand pump is plumbed into the system such that it can be used to extend or retract the landing gear. I say this not to encourage anyone to retract the gear manually in flight but just as a description of the system for performing maintenance. The system components can’t distinguish whether the hydraulic pressure and flow is coming from the electric driven pump or the hand pump. The only appreciable difference is the speed at which the system operates. Just as a reminder, prior to any operational checks or rigging, there are a few items that must be attended to for successful outcomes. The hydraulic reservoir must be properly serviced with MIL 5606 hydraulic fluid. The filter screen should be removed, cleaned, and reinstalled being careful that the seals seat well. An external electrical power source must be connected that is capable of continuous 28 volts while delivering at least 50 amperes. With the exception of the power pack related adjustments, this system is very similar to the K model. Reading through last month’s article will add some details to this one that I chose not to repeat here. Rigging the squat switch in the L model is the same as described last month for the K model. I just wanted to include mention of it again at the beginning as a reminder that the gear won’t begin a retraction cycle unless this switch is doing its job. Making sure the pump is capable of producing the required 1500 p.s.i. is a prerequisite for almost every other function in the system. There are two different pressure switches, but both should operate at the same 1500 p.s.i. Performing this test is applied to the motor, that the pump can muster the 1500 p.s.i., and that the switch is limiting the pressure to that 1500 p.s.i. Paragraphs 5-221 and 5-273D Snubber Adjustment The snubber’s job is to slow the speed of the gear legs at the very last of their travel into the locks. The instructions are to adjust so the gear doesn’t “jar” the aircraft. Cessna leaves it to the mechanic to define “jar”. From experience, I can say, the lighter duty the aircraft jacks are, the more snubber action a mechanic is likely to apply. This is the longest of the rigging procedures and should be performed in the order listed. Each adjustment builds on the previous one. The Cessna gauges p/n SE960 must be used in this operation, and there’s no aftermarket supplier of these that I’m aware. Getting the step rigged according to specifications may not sound all that important. It is important to note that it is possible to adjust the step in such a way that it impedes nose gear operation. Getting the throttle switch adjustment correct requires the participation of a pilot. 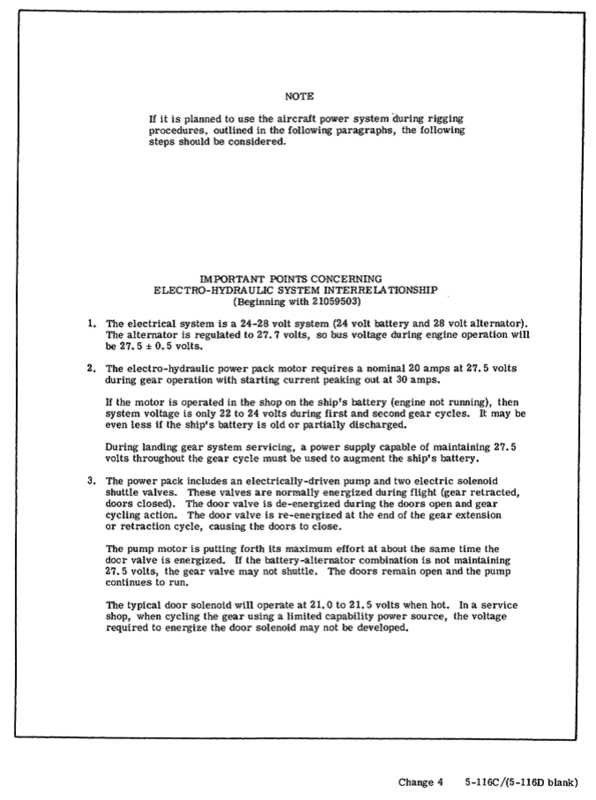 The flight parameters are described on the top left of figure 5-45A. It’s a good idea to check this setting periodically on approach to airports as a way to ensure the system is functioning. Mechanics can check that the system operates, but there’s no way to verify operation at the correct flight configuration while in the shop. 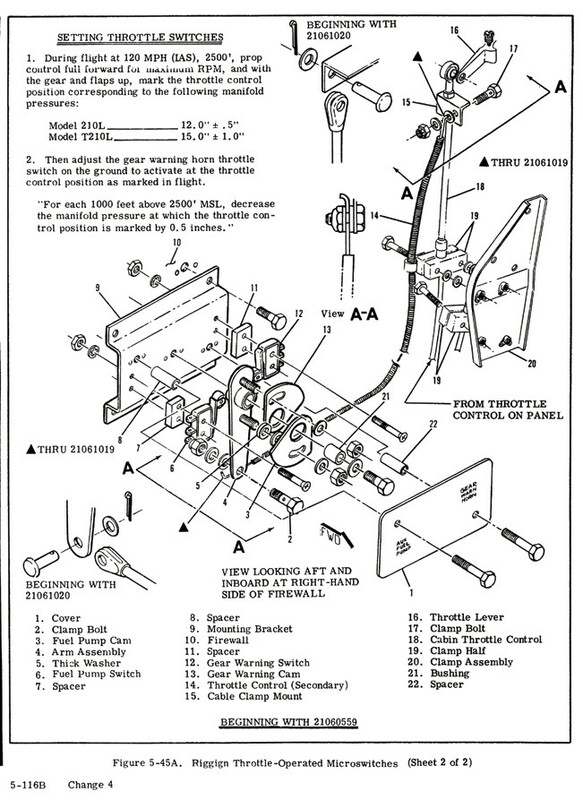 It’s also important to note from figure 5-45A how many components are involved in the throttle switch operation. There are many points of friction, including the connector cable, that need regular lubrication. Since all these components are in the engine compartment they often get their lubrication washed away when the engine is cleaned after oil changes. The throttle switch is only used to warn if the gear is not down and locked when the throttle control is pulled aft past a certain point. It has nothing to do with the gear operation except to remind the gear operator to operate the gear. As I mentioned last month, this isn’t the only sequence for rigging this system, but it seems to be a logical order to me. Contrary to common folklore, I’ve found the Cessna 210 (K model and newer) to be a very reliable system. With a good understanding of the system, it’s also very easy to troubleshoot most any problem. Hopefully, we’ll be able to complete this series on the round gear legged 210 system next month.